Japan's new Super Rugby franchise, the Sunwolves, will be coached by former Hurricanes boss Mark Hammett. The team's squad, kit and head coach were revealed at a press conference in Tokyo on Monday. As preparations continue for the team's historic Round 1 clash against the Lions at Prince Chichibu Memorial Stadium on February 27, the JRSA has confirmed that Mark Hammett will lead the side in its maiden Super Rugby campaign. Hammett – who is no stranger to Super Rugby – served as an assistant at the Crusaders (2007-10) and head coach at the Hurricanes (2011-14) before taking up the Director of Rugby role at Cardiff Blues (2014-15). He also has 81 caps to his name at the Crusaders where he played from 1996-2003 and 29 for the All Blacks throughout a Test career spanning four years. Hammett inherits a list of 34 players that includes 15 with Test experience and 10 of the Brave Blossoms squad that took the world by storm at the recent Rugby World Cup. Playing in a South African Conference alongside the Bulls, Cheetahs and Stormers, the Sunwolves start with four home games (two in Singapore), providing local fans with every opportunity to embrace the team in its inaugural Super Rugby campaign. The Sunwolves play each team in their group twice, teams in the other South African Conference (Jaguares, Kings, Lions, Sharks) once, the Australian Conference (Brumbies, Force, Rebels, Reds, Waratahs) once and will face the New Zealand sides in 2017. 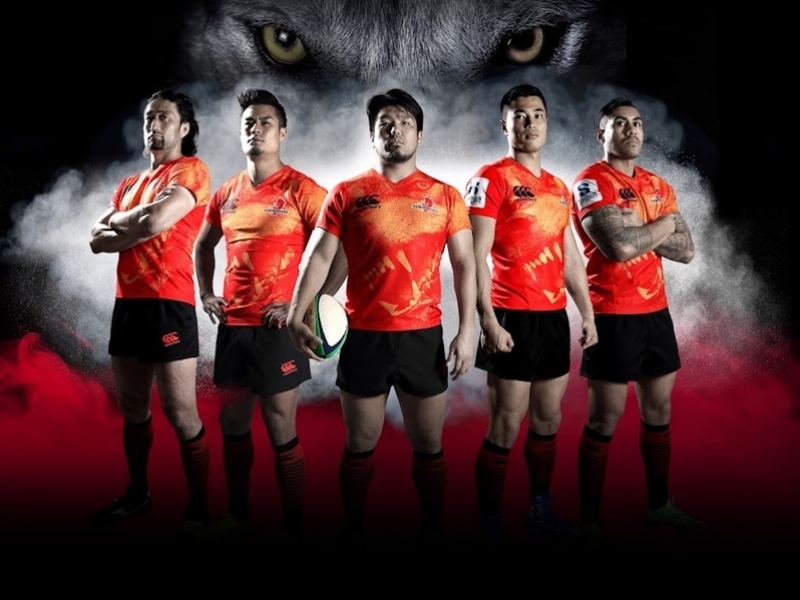 The team will wear a red/orange primary strip that represents the rising sun while the grey alternate signifies the speed and fighting spirit of the wolf that is fiercely emblazoned across both jerseys. Also unveiled by the JRFU today is the team's official website which contains further information and ticketing details, ranging from Y1000-10,000 (A$11-$115, NZ$12-$120, R124-1240, AR$108-1082). Details for the Sunwolves' three home games in Singapore (vs Cheetahs, Bulls, Stormers) will be released in due course.